Armless Letter Writer Girl RP Circus - Entertainers - Real Photo - Vintage Postcards | VintagePostcards.com: vintage, old, antique postcards for collectors. 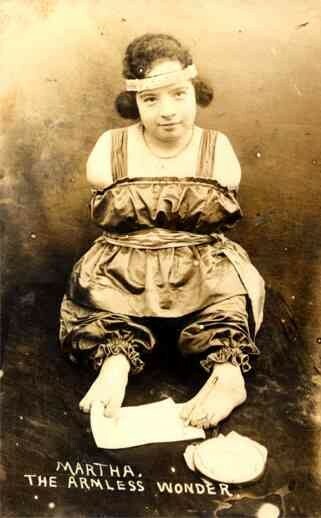 "Martha, the Armless Wonder." Hand-autographed on back. Freak, real photo.